How much fun can you have with your dog? Come to a Wag It Games trial and find out! 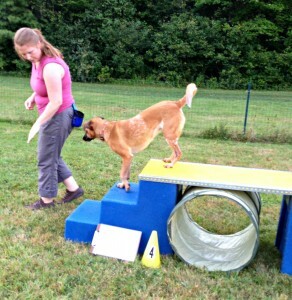 Wag it Games Trials are fun and laid back…..check your stress at the edge of our property and PLAY with your dog! Compete for ribbons and placements or just enter your dog FEO (For Exhibition Only). 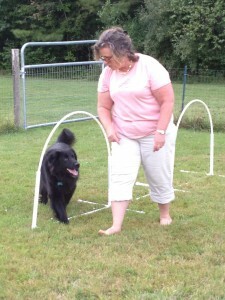 FEO is a great way to get into the ring with your dog for training purposes or to see if you feel ready to enter a trial. Still not convinced? Come out and watch! Spectators (without dogs) are always welcome! 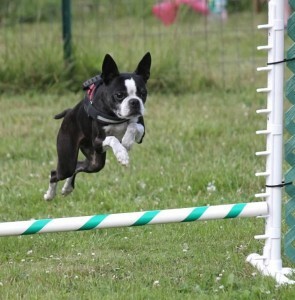 Trials are held outdoors in fenced grass ring…..Weather Permitting!